Nothing speaks of summer brightness like sunflowers. Now's the time to plant them. Sunflowers are a wonderful thing to grow, for kids, adults, chooks, bees . . . trouble is that they need warm soil to do well, and protection from dastardly slugs and snails when they're young. 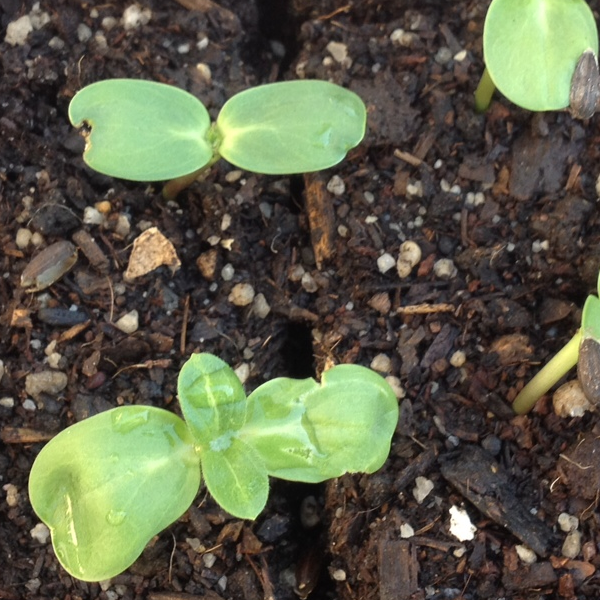 We usually grow some seeds in punnets or soil blocks, and plant them out when the first true leaves are showing. This gives them a bit of a head start on the slugs. In Hobart, now is a perfect time to plant them. Giant single sunflowers, and many other multi-branching ones, will be susceptible to the wind when they start to get tall. So its a good idea to prepare to stake them, or tie them off to a fence or trellis. Our favorite method is to plant one or two plants in the centre of a bean teepee, and let the plant poke its flower heads out through the teepee stakes. Climbing beans are good companions for the sunflowers, and will happily twine up the stems as the sunnies get bigger. If you really need to use snail bait to beat the slimy marauders, make sure you put a wire cage over the seedling and bait so that no birds or pets can eat the attractive little pellets.